Car culture in Japan is huge but, besides the usual suspects like Mazda's RX7 and Nissan's 350z, you can also expect to see a variety of lowriders, crazy supercars and those completely nuts Bosozoku. Usually, though, videos like this tend to focus on one style more than the others, but this car meet takes it to a whole new level. The variety of vehicles is astounding and the modifications, both on the body and under the skin, are superb. 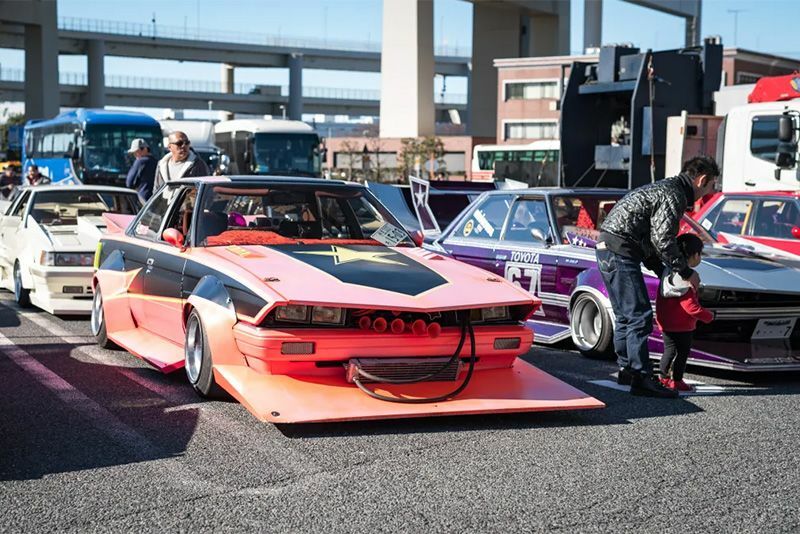 There's something for everyone here, from stunning Lambos and Ferrari's to a plethora of 90s Japanese Ricers, slammed Hummers, classic American muscle, hotrods and, our favourite type of crazy, Bosozoku cars and trucks.